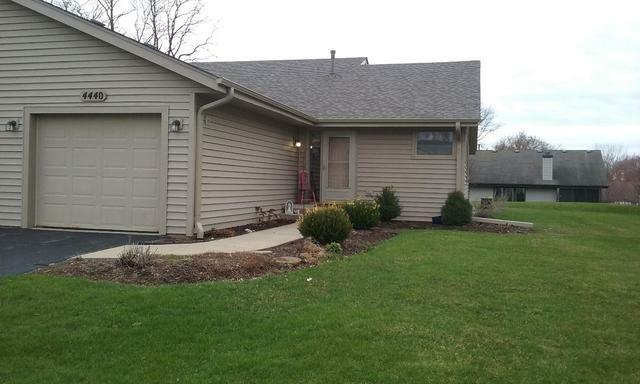 NICE RANCH STYLE DUPLEX CONDO ALL ON ONE FLOOR. LARGE MASTER BEDROOM WITH ADJOINING BATH. LARGE OPEN LIVING AND DINING ROOM COMBINATION PERFECT FOR ENTERTAINING. MAIN FLOOR LAUNDRY/MUD ROOM OFF GARAGE ENTRY. FINISHED LOWER LEVEL WITH RECREATION ROOM, 3RD BEDROOM & FULL BATH ALONG WITH 2 LARGE WALK-IN CLOSETS. ALL THIS PLUS ADDITIONAL UNFINISHED STORAGE OR WORKSHOP AREA. CONVENIENT CENTRAL LOCATION WITH LOW LOVES PARK TAXES. I was searching on Blue Fence and found this listing. Please send me more information about 4440 Towhee Trail 0, Loves Park, Illinois 61111. Thank you.